A life-long New Yorker, Reed was also a devout Anglo-Catholic. His artistic principles were grounded above all in the consciousness of art’s higher aims. 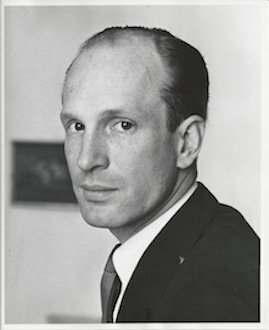 Catesby Leigh, an art and architecture critic, addressed the spiritual dimension of Reed’s labors in a remembrance delivered at the Requiem Eucharist for Reed celebrated at St. Thomas Church Fifth Avenue. Some readers will be familiar with this magnificent Gothic edifice, designed by the distinguished office of Cram, Goodhue and Ferguson, and its soaring, richly carved reredos. An edited version of Leigh’s remembrance follows. It is one of the many curiosities of the age in which Henry lived that the crusade against visual amenity and luxury in the world man builds was taken up by dogmatists of a fervently materialistic bent. By their fruits ye shall know them, and Henry saw those fruits for what they were very early in the game. He didn’t have much company at first, and even today he has a good deal less than those of us who learned so much from him would like. This reality helps us understand Henry’s exasperated incredulity at the spectacle of the nation becoming richer and richer while its public realm became poorer and poorer—his deep-seated anger at the inconceivably extensive degradation of aesthetic experience in postwar America. General MacArthur’s famous watchwords were Duty, Honor, Country. Henry’s were Beauty, Splendor, Grandeur. These ideals were inextricably bound up in his mind with a heightening and refining of the emotions, inextricably bound up with a sense of life governed more than anything by a sense of the measure of things. It goes without saying that the beauty, the manifold exquisite details of this church, the breathtaking sculptural encrustation of its reredos with the figures of Christ, the Virgin, St. Thomas and scores of saints, martyrs, angels, and divines—all by way of giving praise to God and his faithful servants—accord with Henry’s sense of priorities, his sense of decorum, his sense of luxury. And above all with his abiding sense of the glory that shall be revealed. For Henry the achievement of beauty in the arts of form offered a foretaste, perhaps the merest inkling, of that culminating glory. He also believed in embodying the noblest aspects of human endeavor in emphatically dimensional, monumental terms, with depth of relief, with depth of formal complexity. The path to grandeur lay in discerning patronage and the artist’s own depth of discipline and knowledge. These last two qualities Henry knew to be the basis of all creative liberty. The battle he fought was against the flattening of human experience. Flat, blank facades on buildings conceived as commodities—or just oddities—rather than works of civic art; flat modernist pictorial abstractions; the flattening of cultural history into pseudo-history packaged as what Henry dismissed as “applied sociology”—all spoke to him of something far more ominous, the abasement of man and the crude negation of his proper relationship to nature as embodied in the great tradition. For Henry art existed to improve, and in some measure to redeem, man and nature alike. The radical naturalism that has prevailed in various guises for many decades now was simply alien to his outlook. But if magnificence had been achieved in times past, it could be achieved again. Henry never lost faith in man’s enduring capacity for greatness—even as long experience compelled him to acknowledge, which was not quite the same thing as excusing, man’s enduring capacity for folly. So Henry was no mere aesthete or partisan of “art for art’s sake.” His spiritual qualities as well as his profound connoisseurship endowed his advocacy of the classical tradition with its irrepressible vitality, and its lofty aim. The battle, after all, wasn’t merely about art, it was about what it means to be human. So we bid farewell to Henry—not a military officer, but in his way very much the old soldier, as well as a scholar, a visionary, and a Christian gentleman. Catesby Leigh is an art and architecture critic in Washington, D.C. Photo of Henry Hope Reed courtesy of Andrew B. Reed.